Let your princess spirit abound with this sparkly pink and clear acrylic stone CHARM IT! 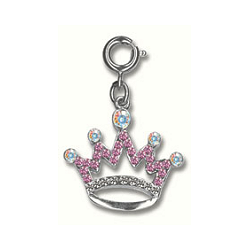 princess crown charm - a delightful addition to any charm collection. With a simple snap of a clasp, girls can personalize their CHARM IT! jewelry with this CHARM IT! 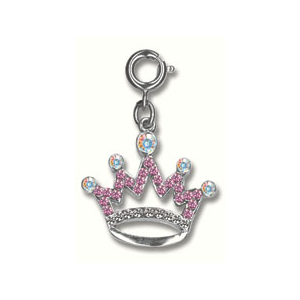 princess crown charm. Channel your inner princess with this delightful Princess charm, complete with golden crown atop her long blue hair.